"At the sperm-bank she asked for a tall, intelligent, black man. One out of three ain't bad." 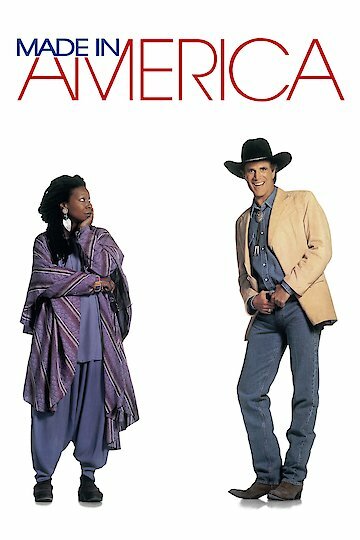 Made in America is a comedy film starring Ted Danson and Whoopi Goldberg. The plot of the movie is about a girl's mother who conceived her daughter using an anonymous sperm donor. She later finds out that her father is a white man named Hal Jackson, which also comes as a shock to her mother, as she specifically requested a black donor. When they meet the donor the find out he is obnoxious, and a horrible car salesman. In the end, Jackson starts having feelings for his so-called daughter and her mother. Made in America is currently available to watch and stream, buy on demand at Amazon, Vudu, Google Play, FandangoNow, iTunes, YouTube VOD online.